Indonesia to Effectively Continue Fuel Subsidy - Integration Through Media ....! 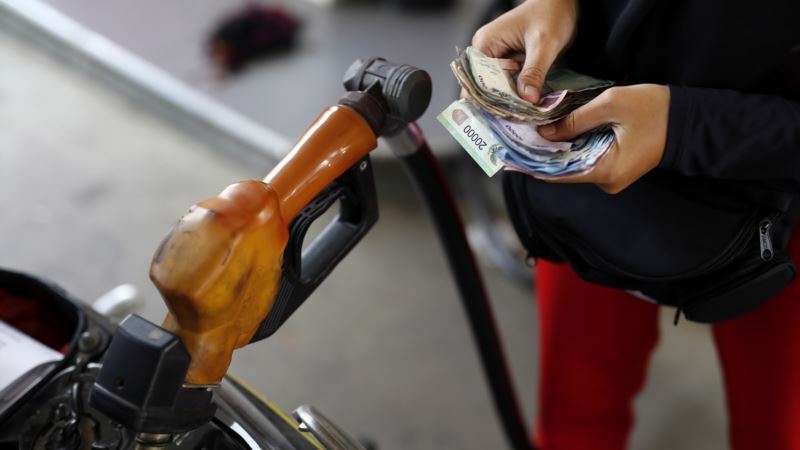 (VOA): Indonesian president Joko “Jokowi” Widodo has instructed ministers to keep fuel prices stable over the next two years, said Energy Minister Ignasius Jonan, which would, in effect, continue a controversial fuel subsidy scheme that analysts say has negatively impacted growth and the environment. The Ministry said it would increase the per-liter subsidy for diesel and regular petrol from 500 Indonesian rupiah (about $0.35) to 700-1000 rupiah ($0.49-$0.70) while keeping pump prices unchanged. The measure indicates how protectionist measures have been hard to shake for the initially reform-minded Jokowi, who made several inroads against subsidies in 2014 and 2015. In 2014, the year he was elected president, Jokowi raised fuel prices and capped the diesel subsidy within months of taking office. Last year he also pushed to phase out electricity subsidies, but was already facing pushback from consumers amid rising inflation. Consumer expectations are perhaps looming larger now that he is in the latter half of his term, and gearing up for a competitive reelection campaign in 2019. “Widodo hopes to keep retail prices stable through the April 2019 election, despite the gap between the Indonesia Crude Price (ICP) and the budget’s oil price assumption,” said O’Rourke. “Ostensibly, this subsidization aims to preserve consumer purchasing power; in reality, Widodo clearly hopes to avoid sacrificing popularity ahead of his re-election bid.” Ironically, he said, artificially low fuel prices end up creating inflation anyway, since people tend to then over-consume imported petrol, which further sinks the rupiah. Fuel subsidies are considered a regressive form of spending because their benefits are captured by people wealthy enough to drive and own vehicles, said Paul Burke, an economist at Australian National University who focuses on energy and transportation. But they also aggravate traffic jams — including in cities like the notoriously traffic-choked Jakarta — air pollution, and oil dependence, said Burke, citing a recent paper he authored on the topic. Burke said Indonesia’s substantial progress on electricity subsidies are a hopeful sign and possible roadmap for fuel subsidy reform. Fossil fuel subsidies have existed in Indonesia since its independence in 1949 and, per the International Energy Agency, accounted for nearly 20 percent of fiscal expenditure by the 1960’s. In that context, the reforms of modern-day Indonesia and the Jokowi administration are not inconsiderable: by 2014, about 3 percent of the GDP was spent on fossil fuel subsidies, and by 2016, after Jokowi’s initial spate of reforms, it was less than 1 percent. But, due to consumer expectations, the political climate, and the unique challenges of the fuel industry — Indonesia both has a lot of natural resources itself and a burgeoning consumer class — the current subsidy apparatus may prove sticky for the near future.